Lock in a great price for The Embassy Inn – rated 8.9 by recent guests! I travelled from Idaho to Montana, picked up a grandson and then went on an adventure on Washington's NW Peninsula. Then we took the ferry to Victoria for an overnight. Stayed by the harbor in your hotel. Enjoyed the Royal BC Museum immensely and Minature World. Early April. Flowers in the public places were spectacular. Fun at Murchies and walking Government! I loved being on the fourth floor and the balcony. Room was immaculate along with the bathroom. Staff were very welcoming and helpful in storing our luggage while we toured the city. 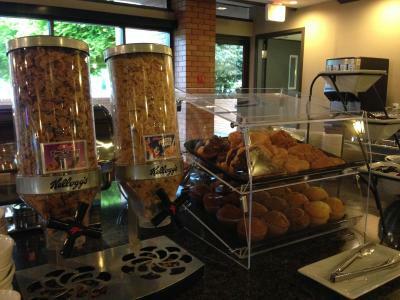 Breakfast choices were excellent with many healthy food options. Breakfast room was bright cheerful and immaculate. Location was central to ferry and attractions. Clean and updated room. 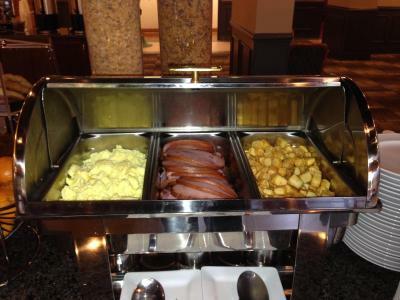 The hot buffet breakfast was amazing! Overall, the Embassy Inn exceeded our expectations! 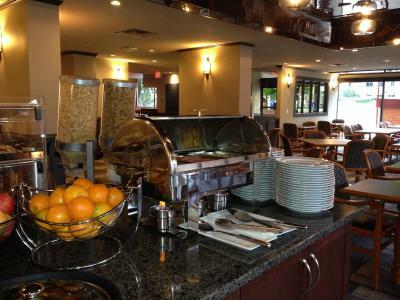 The location was great and can't be better, the staff was very friendly and the breakfast was amazing. We will definitely come back! The room was lovely. The staff was lovely. The breakfast was great! They showed a movie in the lounge on Saturday night and gave us popcorn. The location is great. I really have no complaints! We were blown away with how great the location was! It was also a pleasure checking in and out here the staff went above and beyond our expectations. The food was also great - What a nice little breakfast they had set up! The Embassy Inn This rating is a reflection of how the property compares to the industry standard when it comes to price, facilities and services available. It's based on a self-evaluation by the property. Use this rating to help choose your stay! 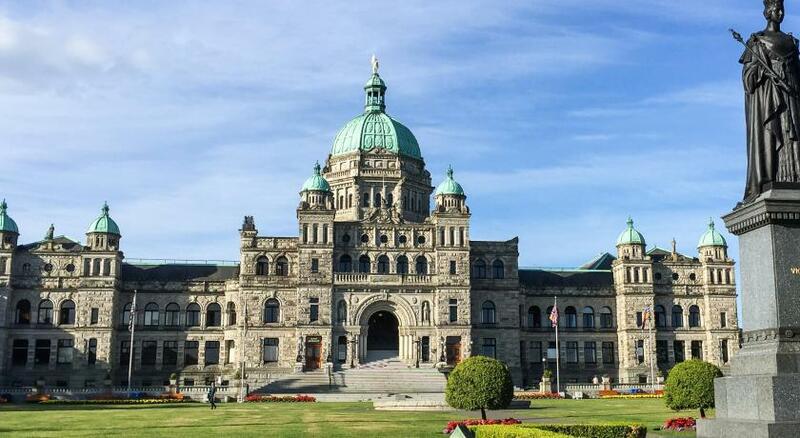 One of our top picks in Victoria.Located within Victoria's Inner Harbor, this hotel is 600 feet from the British Columbia Parliament Buildings. WiFi is provided in all areas. Free underground and surface parking are available. Each spacious guest room features a balcony, a refrigerator and tea and coffee facilities. Free local calls and cable TV are also provided. 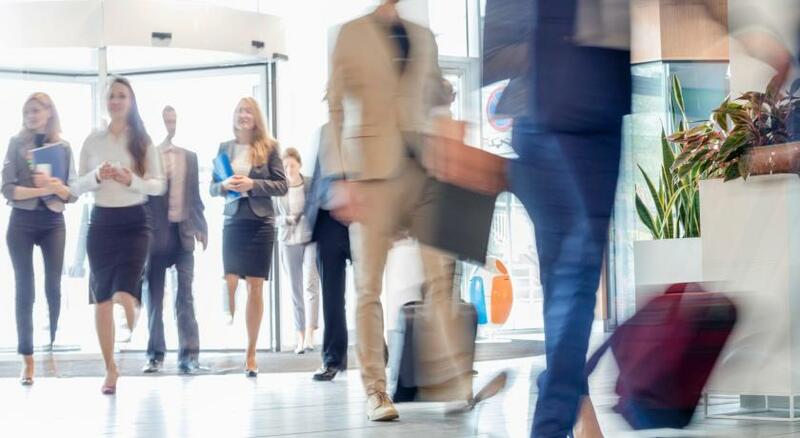 The free hot breakfast buffet includes scrambled eggs, sausage, bacon, cereal, yogurt, fresh fruit, toast, muffins, hash browns, juice, coffee and tea. A seasonal outdoor swimming pool and sauna are located on site. Golf course reservations are also available at the front desk. 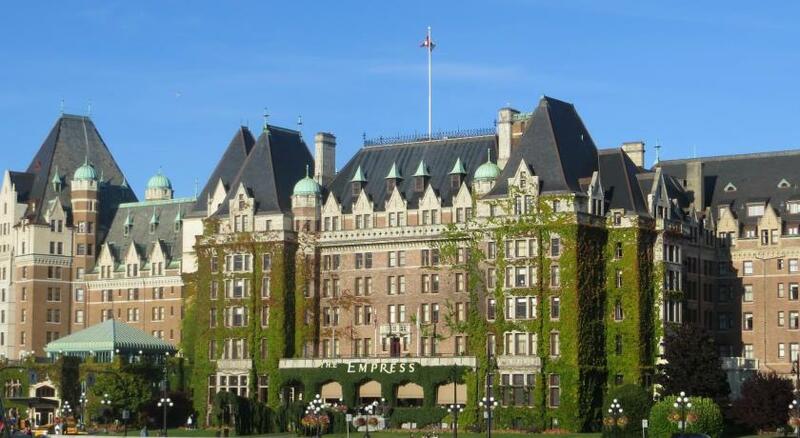 Royal BC Museum is 5 minutes' walk from this hotel. Victoria Golf Club is 3.7 mi away. When would you like to stay at The Embassy Inn? This spacious room includes a free hot breakfast and features a private balcony, cable TV and a coffee maker. Free WiFi is included in this room. Please note that the Queen Room with Two Queen Beds rate is based on 2 guests. Maximum occupancy is 4 guests (see Hotel Policies). 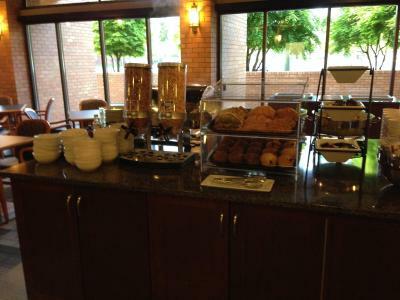 Located in the Tower building, this suite includes a free hot breakfast and has a living room and a full kitchen. It has 2 balconies. Please note that the One-Bedroom Suite rate is based on 2 guests. Maximum occupancy is 4 guests (see Hotel Policies). This room also includes a free hot breakfast. This spacious family room includes a free hot breakfast and has a balcony, cable TV and air conditioning. The Embassy Inn is pleased to announce we now have High Definition TV and very fast and reliable wifi! Come and take us for a test drive. House Rules The Embassy Inn takes special requests – add in the next step! The Embassy Inn accepts these cards and reserves the right to temporarily hold an amount prior to arrival. Please note, this property requires valid credit card to confirm reservations. Visa debit cards are not accepted. New modern room,, balcony with patio doors, skylight and high ceilings. Friendly staff. I have stayed here frequently, it’s a great place for the cost! Lotion is great md the breakfast is a wonderful bonus! Location, no extra charge for breakfast, parking and WiFi. 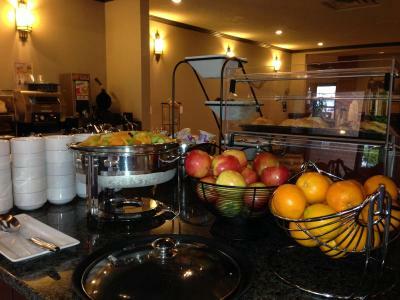 The bed and pillows were excellent, breakfast was great with plenty of choices. Would be great if there was a gym. This property greatly exceeded my expectations. Not having stayed here in over 10 years this property has undergone a complete change. 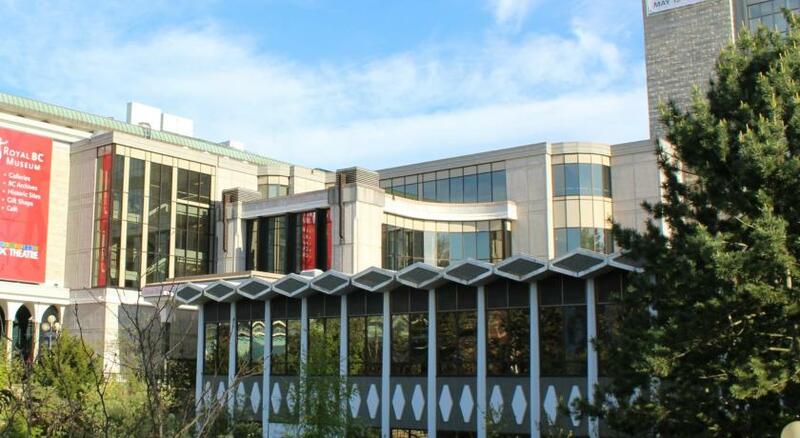 Dont be fooled by the exterior of the building as the rooms are very nicely updated. Comfy beds and clean brand new bathrooms. 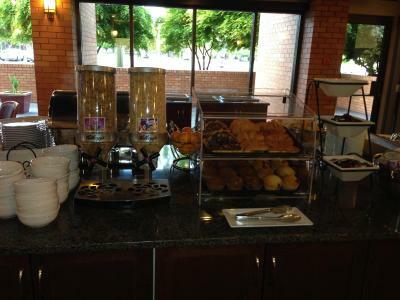 Breakfast was one of the best buffets I have had for a comparatively priced and star level of property. 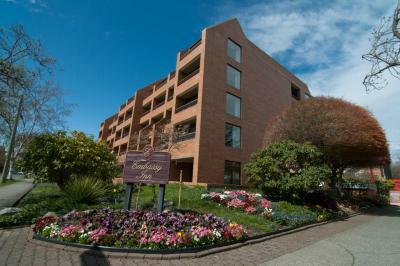 If you are looking for a moderately priced hotel in the Inner Harbour this is a great choice. If the hotel has it's own restaurant that serves dinner, it will be perfect. Location is excellent. Within walking distance to downtown but in a quiet lane. The breakfast was great, especially the hash browns. Also a lot of varities. Place could do with a little face lift but overall very comfortable and inviting. Excellent buffet breakfast, changed each day for the two days we were there. 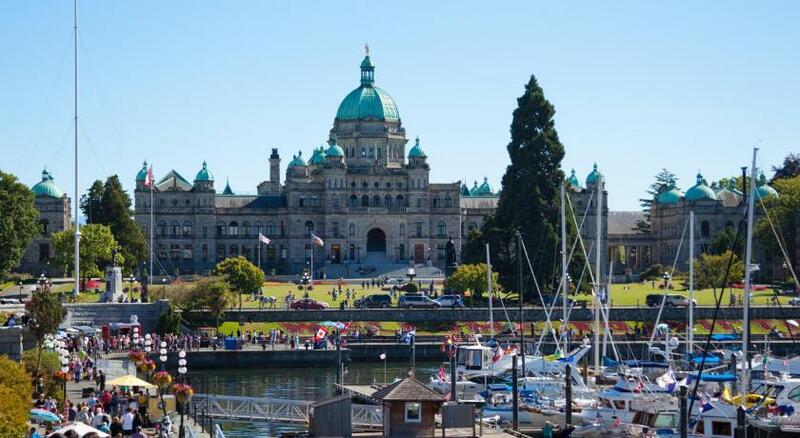 Location is fabulous, right next to the Legislature Building beautiful,y lighted up at night snd right in the inner harbour. Great breakfasts . Good location walking distance to downtown core . Accommodations were good, location was great, free parking and breakfast. What more could you ask for? Would definitely stay here again. Everything and the breakfast was lovely!